Psst… Bazaar is not just simple and natural, but also a truly rich formula. We use simple, premium and low processed ingredients. We firmly say NO to palm oil, NO to glucose-fructose syrup, and NO to aromas and NO to preservatives. 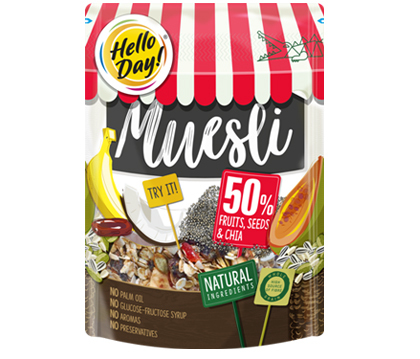 This line includes muesli and single serve instant jumbo oats with extras. Enjoy it!